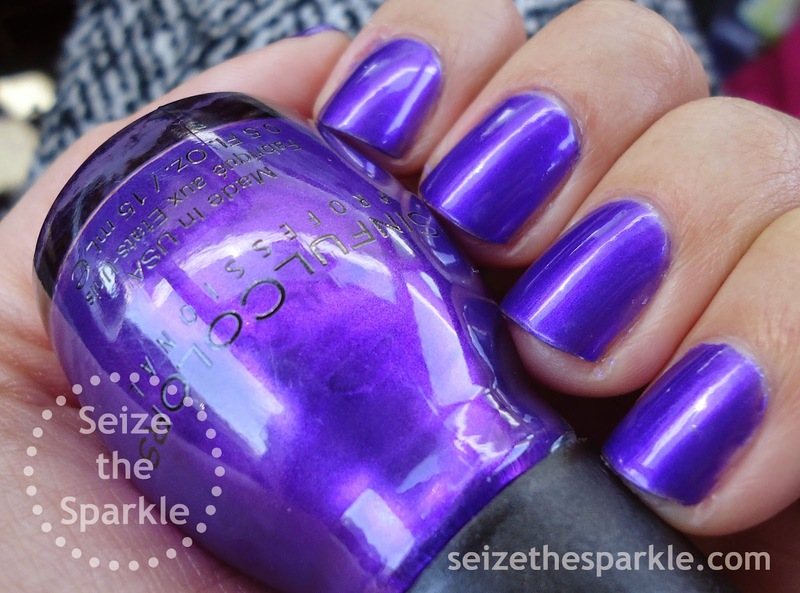 Can we just take a moment and look at how gorgeously this polish glows? That is thanks, in part, to the pearlescent shimmer running through it, and then there's also the sheer brightness of this purple shade! I know it's Spring, and that's usually the season for pastels, but something about this bright, punchy shade is just so, so right! Let's Talk is a little sheer at one coat, probably a two coater for most. But, if you're like me, you might forget to wrap your tips, or just sort of zone out while you're painting because you're blinded by the gorgeousness, thinking about a zillion things at once, or a little bit of both! The formula on Let's Talk is great... very easy to apply. There was a tiny little bit of noticeable streaking from the brush while painting, but that all evened itself out after all the layers dried! In all honesty, I was surprised that my camera captured Let's Talk so accurately. Normally, my little Cybershot can have issues with purples and teals. 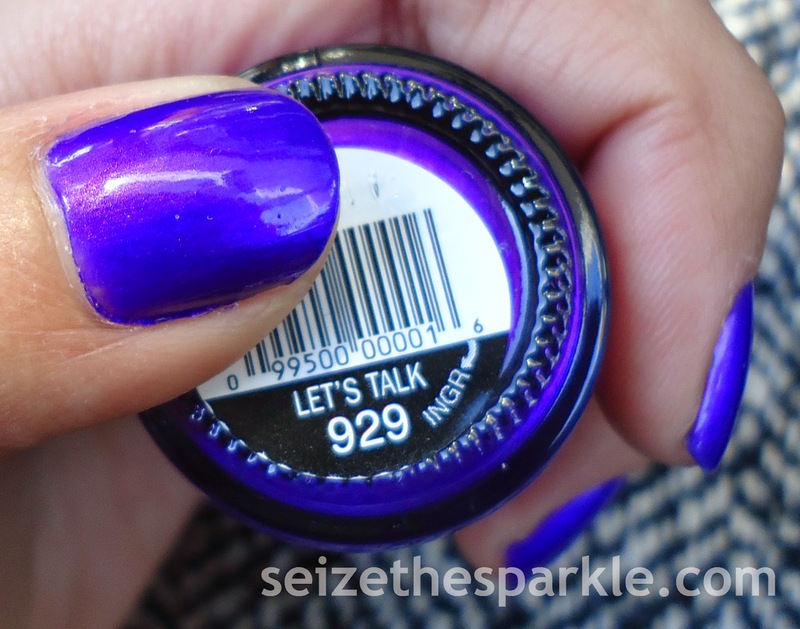 Thankfully, the photos turned out really well, so you get to see Let's Talk in all of it's beautifully glowing purple glory! Also, I'm pretty sure that it needs to serve as the base for some sort of layering in the future! Let's Talk is part of SinfulColors Spring Fever Flight Patterns Collection. You can find it on display at Walgreens, Rite-Aid, and other mass retailers for $1.99 a bottle! The full Spring Fever Collection also contains Cloud 9, Cream Pink, Energetic Red, Feel The Vibe, Flight To See, Flower Power, Gold Medal, Horizon Shine, Innocent, Let's Meet, Nail Junkie, Navy I Do, Petal Be The Day, Prized Plume, Ring The Belini, Sail La Vie, Savage, Sheer Flight, Standing Bloom Only, Tempest, Thimbleberry, Why Not, and Zest of Times. Follow SinfulColors on Facebook, Instagram, and Twitter!